When you’re on vacation, you want a place where you can get a good drink with a water view, take in some good people watching and fill your taste buds with excellent cuisine. 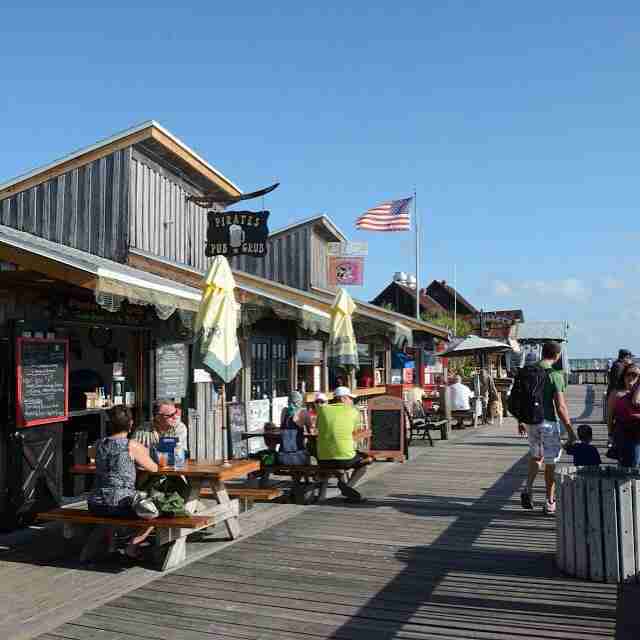 If that sounds like your idea of a good time, then look no further than Pirates Pub N Grub on the boardwalk at John’s Pass. With outdoor seating for about 20 and air conditioned seating for about 30, the PPNG girls [typically decked out in traditional Pirate clothing] can take care of you no matter the weather. An outdoor bar attached to the front of the restaurant makes a perfect spot to enjoy the day on the boardwalk, while an indoor bar gives you the same view in the AC. Pirates Pub N Grub has a large selection of the best craft beers and is home to the Pirate’s Punch­ their signature mixed drink. Feel free to bring Fido too; they have a few dishes for your puppy and water bowls to keep your baby cool on those hot days. Pirates Pub N Grub rests on the boardwalk at John’s Pass, directly in front of the big Pirate Ship.